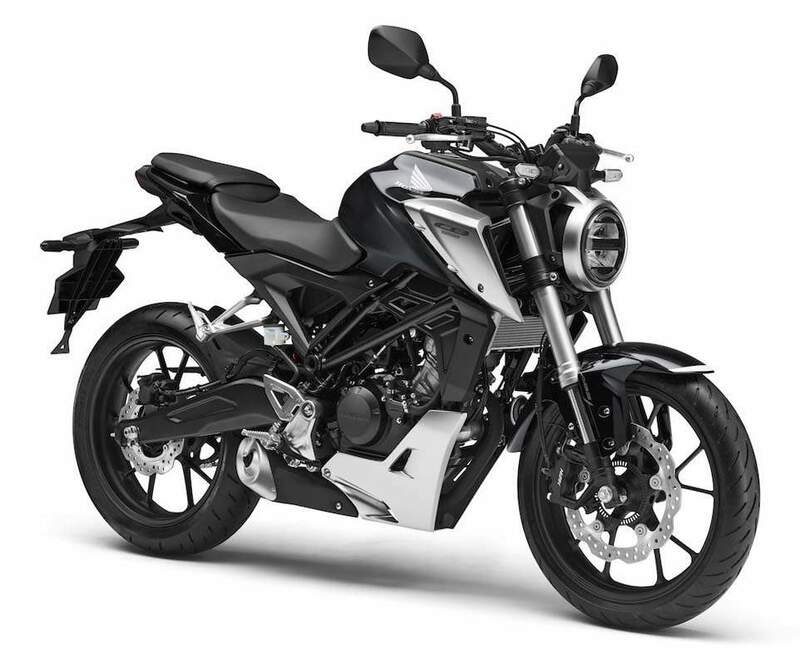 This early-entry motorcycle – a tenacious sibling of the CB1000R – really makes a statement with its alloy radiator shroud, hugging sump guard and all-black engine. 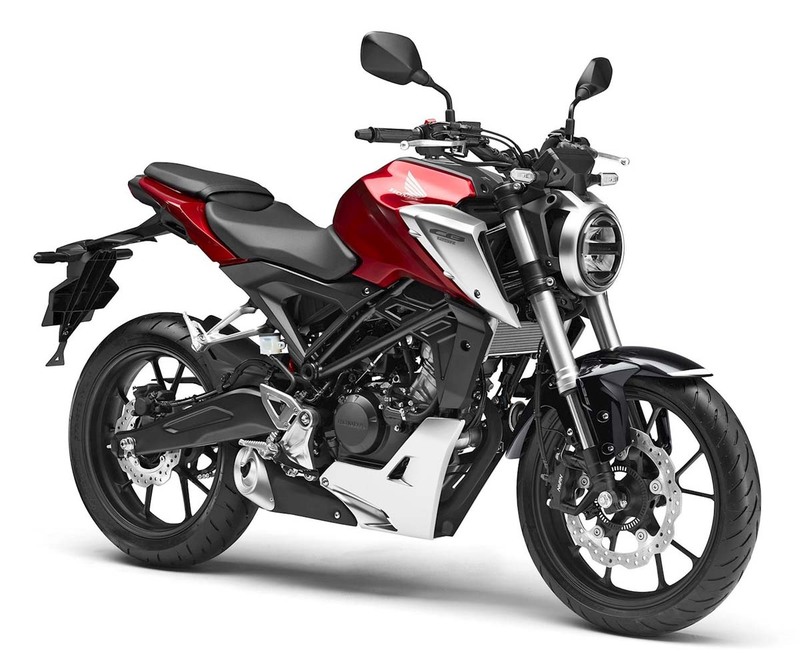 The Honda CB125R is a stripped-back entry-level sports-naked bike, and only weighs 125.8kg. 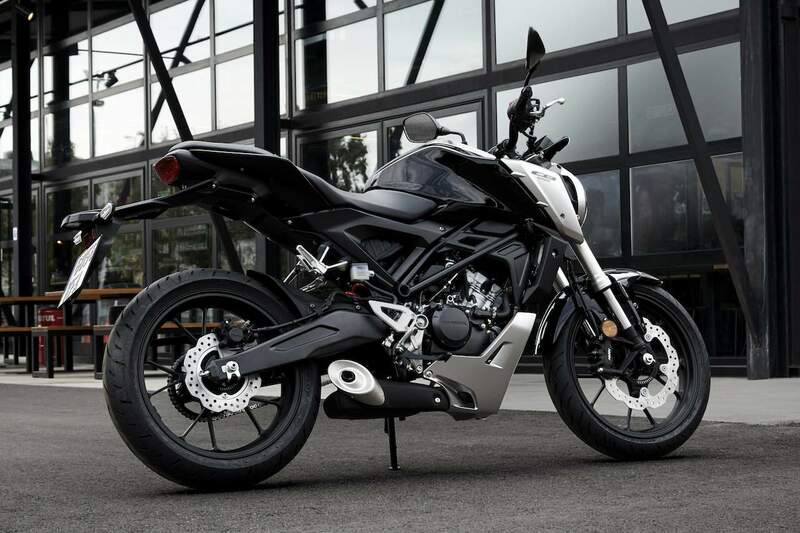 The free-revving liquid-cooled single-cylinder motor has strong low to mid-range acceleration. It produces 13.1bhp (9.8kW) @ 10,000rpm and 7.3lb-ft (10Nm) @ 8000rpm through a six-speed gearbox. The all-new tubular steel lattice frame has a ‘tuned rigidity balance’ for feedback. The swing-arm and its pivot plates are pressed steel, and combine with 41mm upside-down forks and a preload adjustable shock. The front brake is a Nissin four-piston radial caliper with a hubless 296mm floating disc, while the rear has a single-piston 220mm disc. The ABS – which works on the front and rear – uses an inertial measurement unit (IMU), claimed to give precise front to rear modulation of the anti-lock system. The aluminium fat bar-style handlebars, fixed via risers to the top yoke, give 40° of rotation for a 2.3m turning circle, while the seat is set at 816mm. The LCD dash is just 23.5mm thick, and shows speed, revs, fuel level and gear, with full LED lighting across the whole bike. 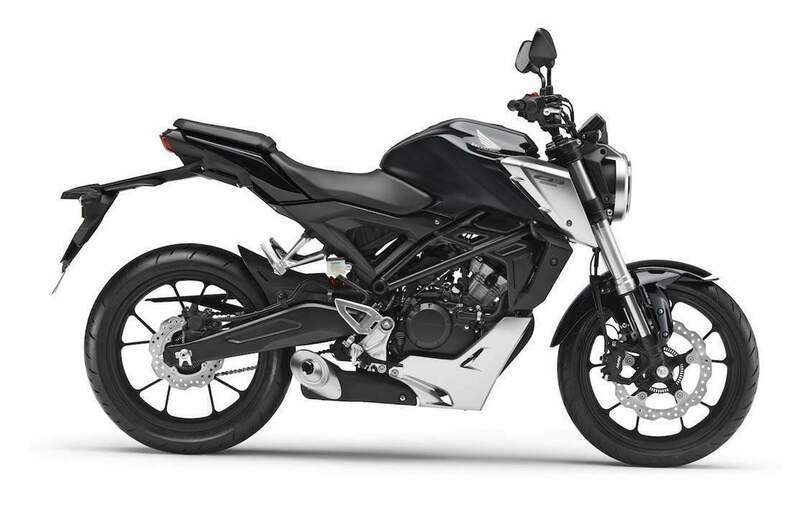 The split headlight is the thinnest ever fitted to a Honda motorcycle. Fuel economy is claimed to be 136.7mpg, which means the 10.1 litre tank could offer a range of up to 298miles.